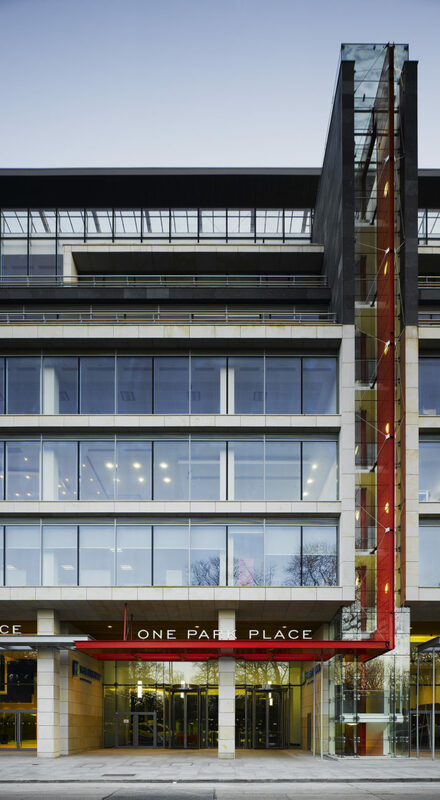 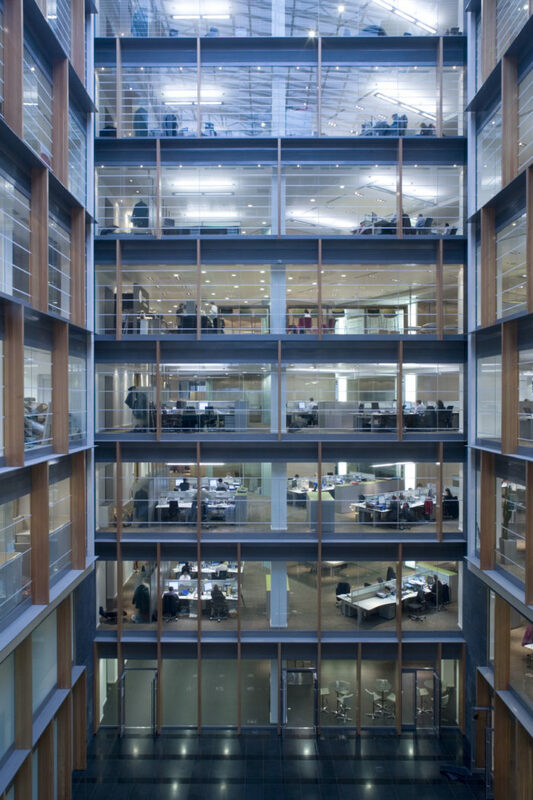 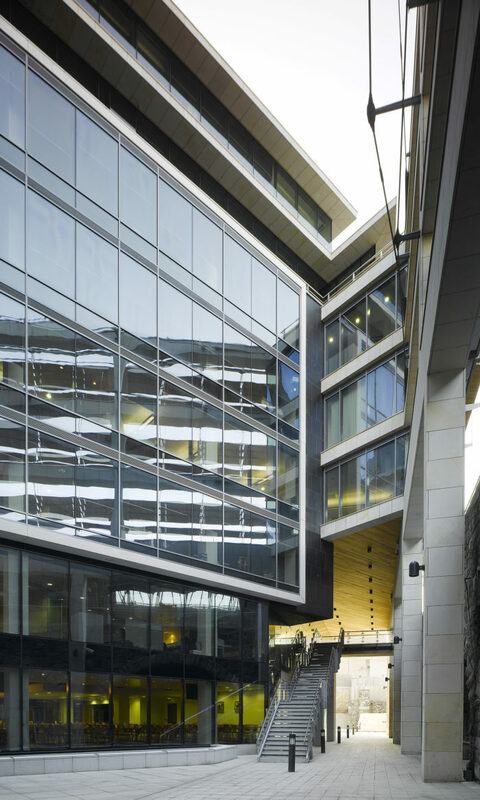 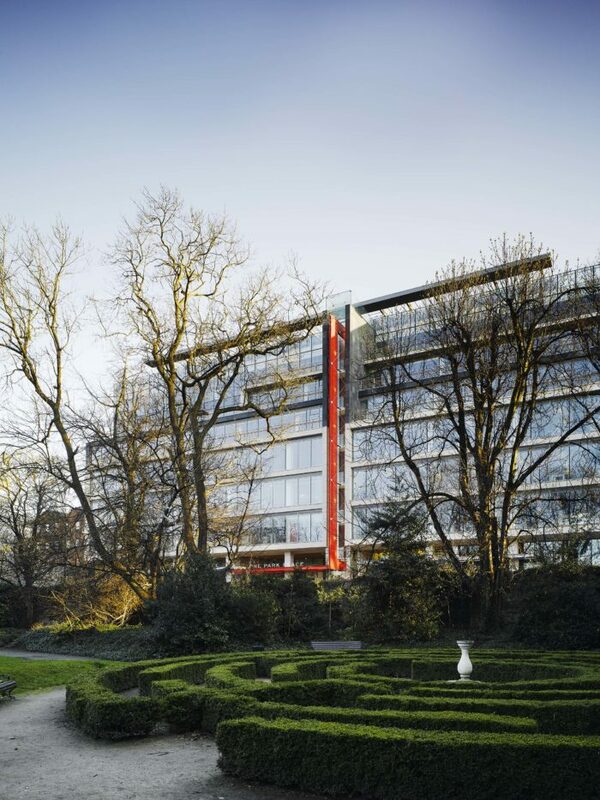 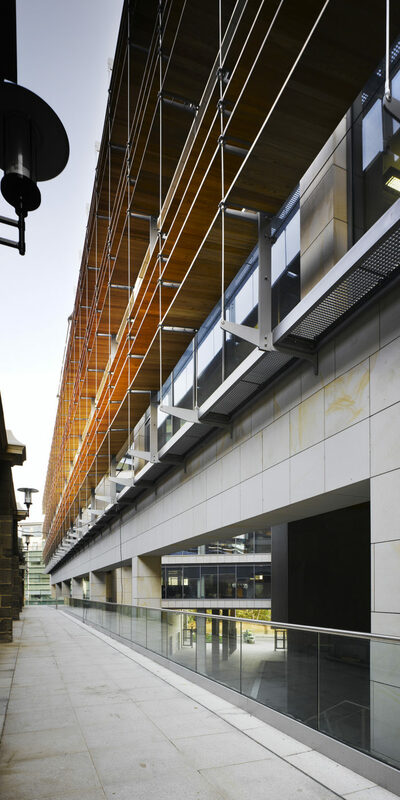 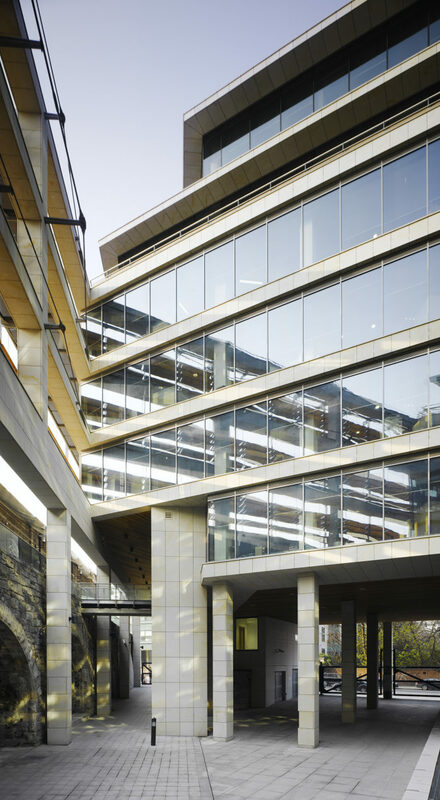 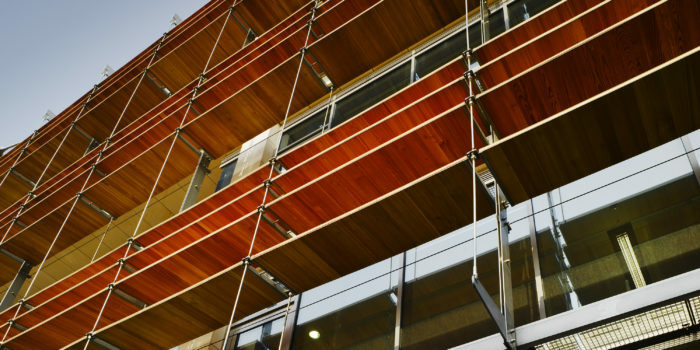 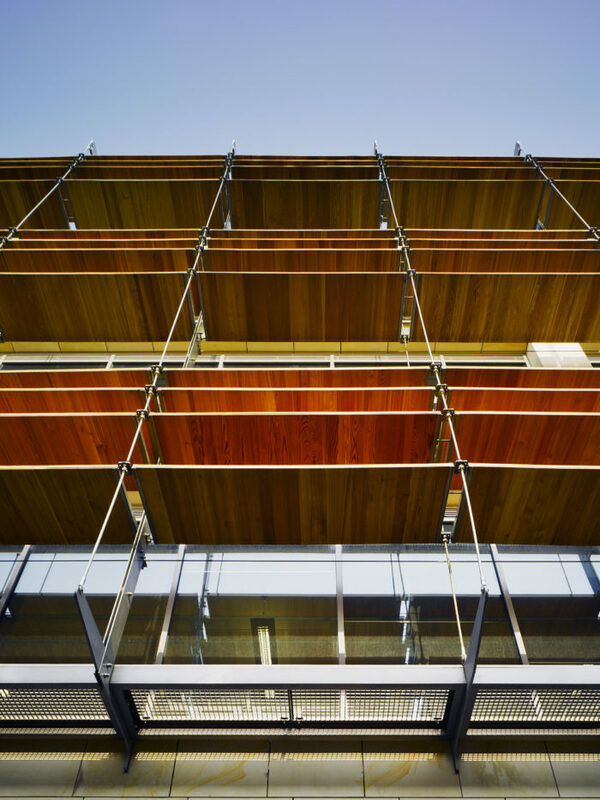 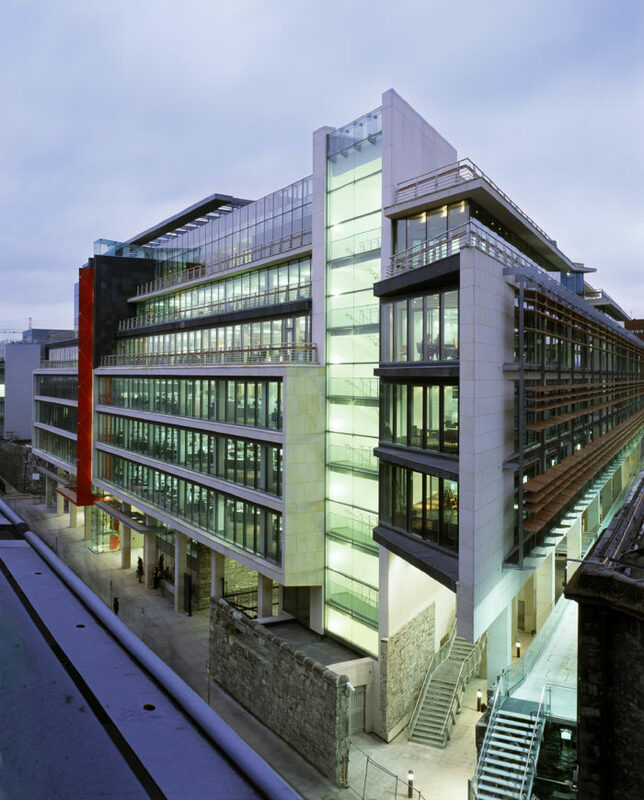 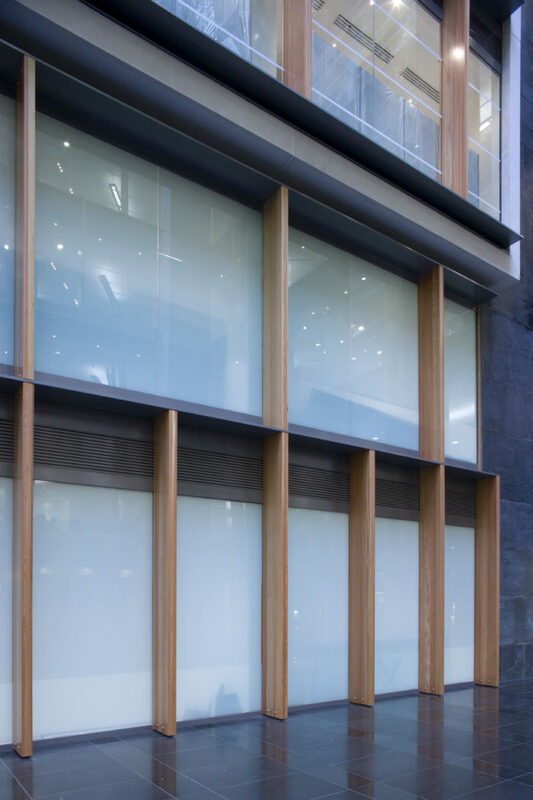 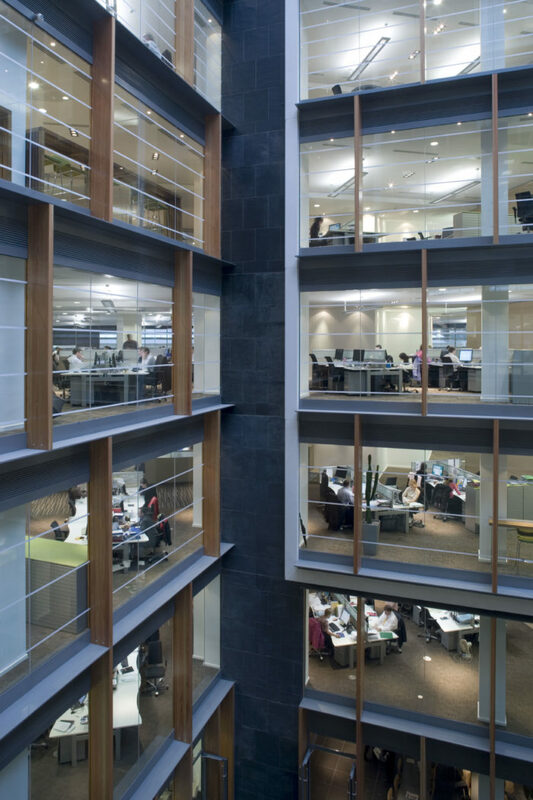 Park Place provides high quality office space in three separate inter-connected buildings around a common atrium. 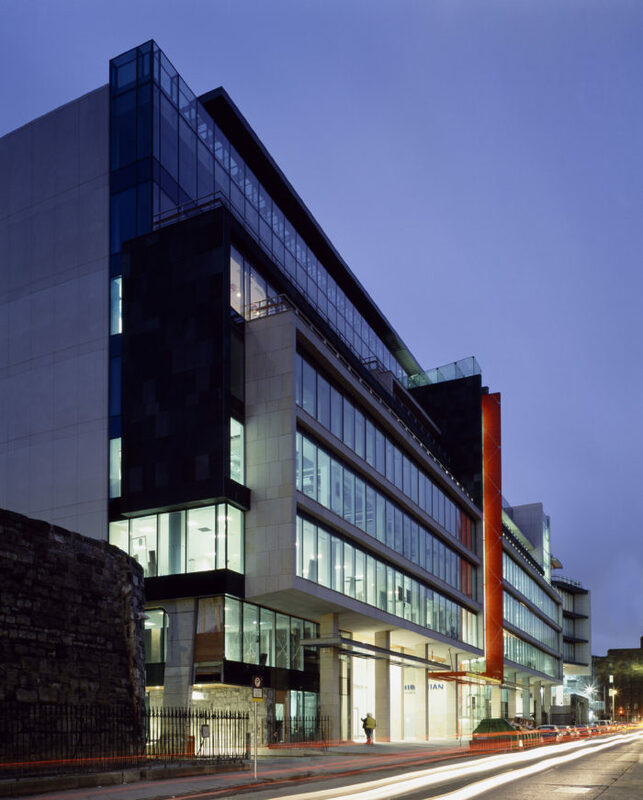 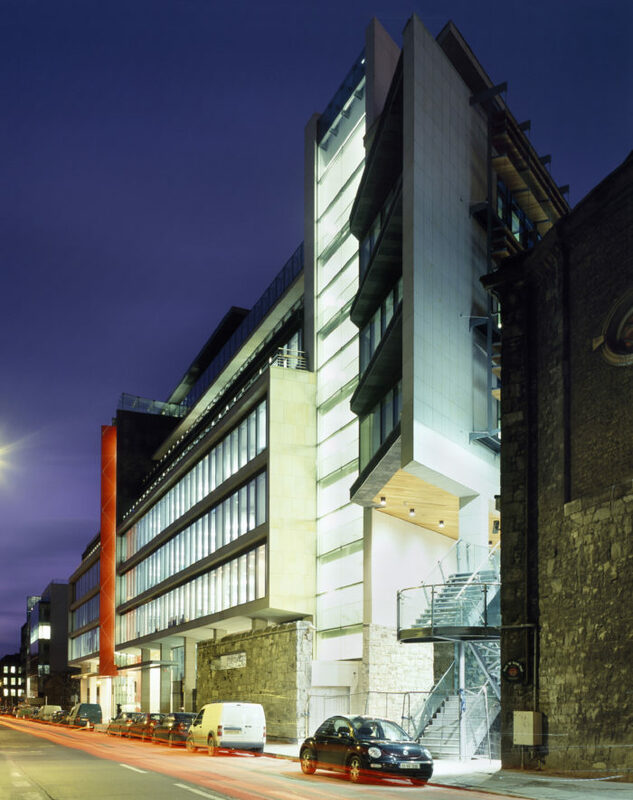 The complex has eight storeys of offices over a basement car park. 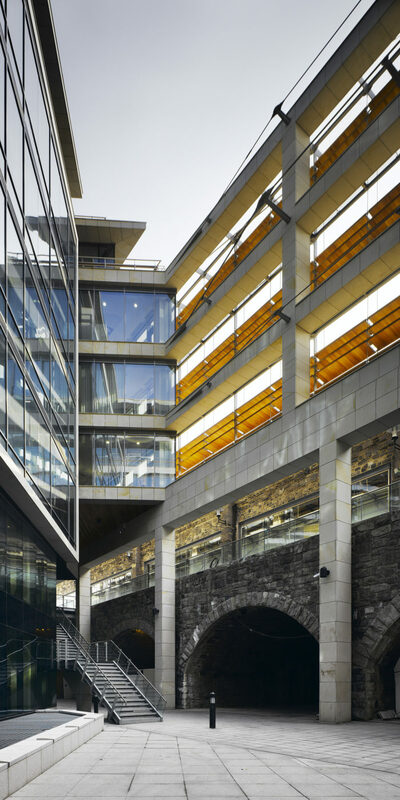 The site provides a unique retail passageway created from the vaulted substructure of the former Harcourt Street Railway Terminus. 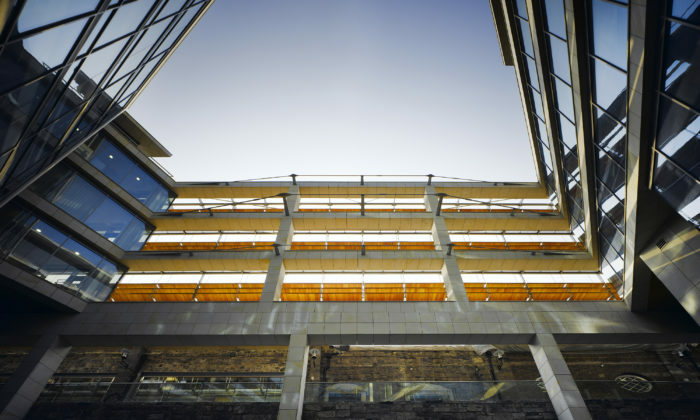 The architectural expression is modern while energy efficiency is achieved with the “ice bank” cooling system and the use of solar control louvres. 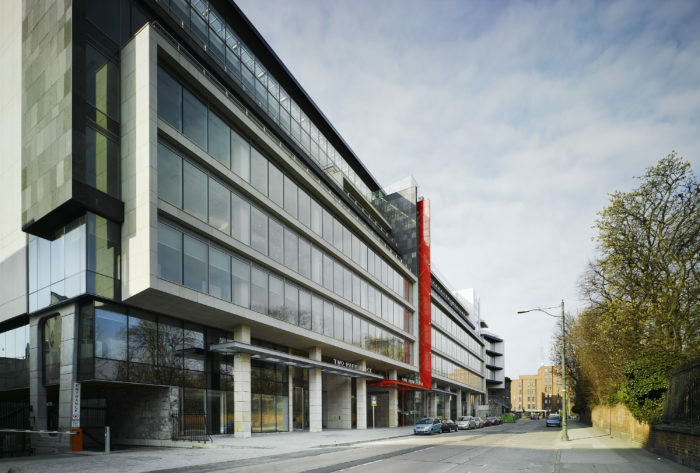 The area of the development provides approximately 9,000sq.m. 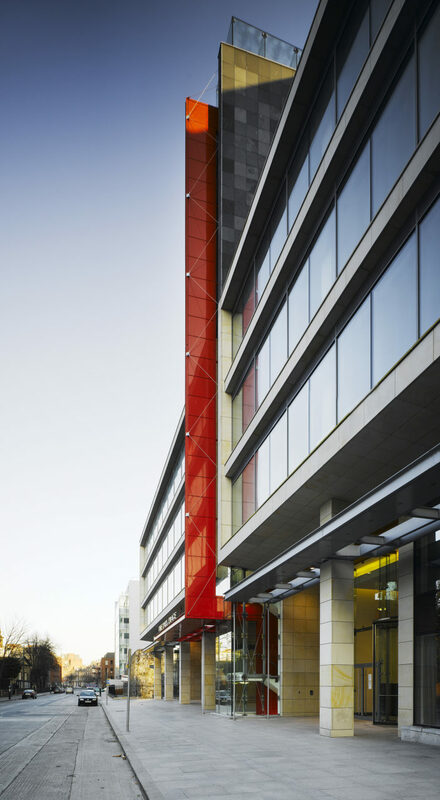 of nett lettable office space in each of the three blocks’ deep floor plates for flexibility and efficiency.